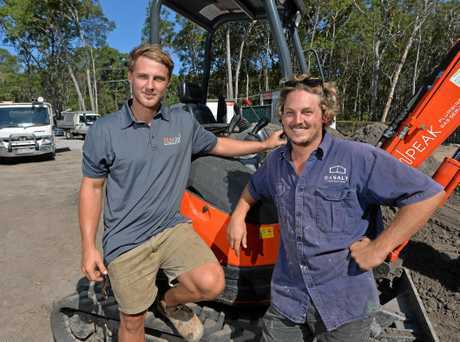 THE Sunshine Coast has shot ahead of the Gold Coast for new home approvals to help tradies like Tim Viner nail their business dreams. New building approval figures from the Australian Bureau of Statistics showed Sunshine Coast Council approved 878 new homes or units in July and August. Gold Coast Council approved 851 for the same time period. The figures showed the Sunshine Coast was off to a busy start this financial year when compared to the last financial year. Overall, the Gold Coast reached 6915 homes in 2016/2017, whereas the Sunshine Coast totalled 4576. The total value of residential work approved on the Sunshine Coast in July and August reached more than $256 million, with another $66 million in non-residential building. Basalt Constructions owner Tim Viner has set about turning those values into revenue. Mr Viner started his carpentry apprenticeship on the Coast a decade ago and set up his building business two years ago. He said he was due to start building a home at Mudjimba this week and had more work lined up after that. "From what I hear everyone is pretty busy and even from clients I think it is hard to get tradesmen," Mr Viner, 27, said. "I can't see it stopping any time soon - at least I hope it doesn't." Peak Plumbing and Gas Services owner Joel Thorogood, also 27, said his business was "flat out". 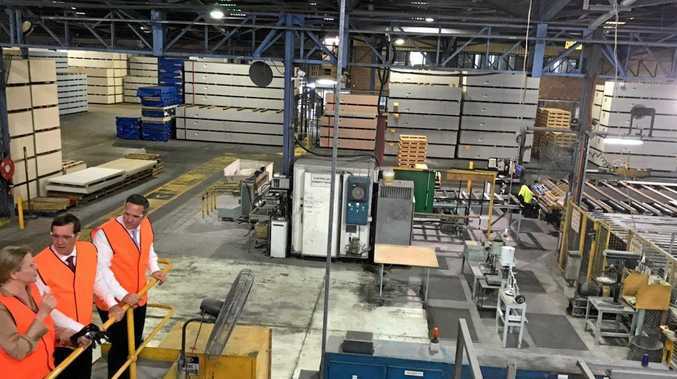 "We have just started with commercial stuff but there is a lot of residential (work) all the way down to Brisbane," Mr Thorogood said. His business has grown accordingly. "In January it was just me but now there are five of us." That includes three tradesmen and an apprentice. "It would be good if it keeps going this way. "We have got a few solid contracts that will probably keep us going through until the end of next year."